Shieldaig 18 year old will delight fans of Speyside scotch with its flower bouquet, candied fruit, nuts, and sweet oak flavors. Just as impressive is its bargain price—$47, a fraction of what other 18 year old single malts command. According to its label, Shieldaig is from “the Loch of Herring,” a place in the Torridon Hills of Scotland’s northwest Highlands—far from Speyside, or from Islay, where Shieldaig’s 14 year old single malt is made. No one has ever seen the mysterious Shieldaig Distillery: it doesn’t exist. 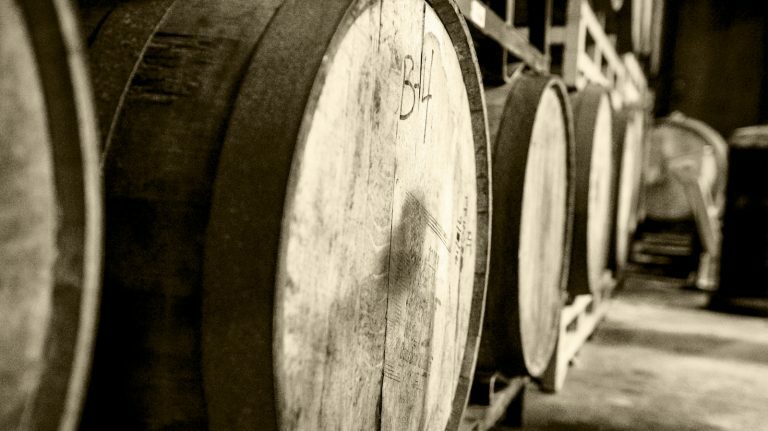 The whisky was created for mega-retailer Total Wine & More. Big-box stores like Costco and Walmart and grocers like Trader Joe’s also sell their own private-label whiskies. These bottles are created specifically and exclusively for large retailers and go by either a fictitious brand name (like Shieldaig) or a store brand, like Costco’s Kirkland. An educated whisky drinker might feel she’s rightfully suspicious of whiskies that share a store-brand name with toothpaste and ketchup. But there is no reward without risk, so the Whisky Advocate panel tasted our way through over 40 private-label whiskies in search of hidden gems of the big box stores. We tasted them blind, against well-known whiskies of comparable age and style. Not all were winners—some cannot be recommended—but there were many pleasant surprises. In addition to the 18 year old single malt scotch under $50, we found an enjoyable 12 year old Speyside that’s half the price of Macallan at the same age. Then there was the high-proof, high-scoring 7 year old bourbon that compared favorably with Knob Creek, among many other whiskies that boast true value (see full reviews). While many retailers have their own bourbon barrel picks or exclusive single-cask scotch, only the largest chain stores offer consistently available proprietary whisky brands. Costco, Walmart, Total Wine, and Trader Joe’s—king of the grocery store brand—all sell their own private-label whiskies. Bottles that are offered under familiar house-brand names are easily spotted. (Disappointingly for fans of Trader Joe’s international nicknames, like Trader Giotto’s, there’s no Trader Jock’s for private-label scotch.) In other cases, the whiskies bear names and label designs that allow them to live inconspicuously among Glenlivet, Johnnie Walker, Jack Daniel’s, and Crown Royal. At Total Wine and Walmart, private-label brands are virtually indistinguishable as such on the surface, except that they cost less than similarly made and aged peers—sometimes much less. With clues, however, you can figure out which whiskies are made specifically for the store—see “Be a Private (Label) Detective” below. Some information is required on the label, like the name of the importer and country where the whisky was made. For bourbon and other American whiskeys, the label has to include the location of the bottler or producer. If where the whiskey was distilled is different from the bottler’s state, that also must be included. This can offer clues about provenance; for example, anytime Indiana is listed, it’s pretty much a guarantee that the whiskey was distilled at MGP Ingredients, which supplies hundreds of brands. When sourcing scotch or Irish whiskey, large retailers often work with independent bottlers—companies that buy whisky from distilleries and then blend and bottle it for the client. Most are based in Scotland, but one company focuses its efforts specifically on supplying U.S. retailers. Steve Lipp, CEO of Alexander Murray & Co., was the first independent bottler to create private-label whisky for a U.S. store, launching Trader Joe’s 10 year old Highland single malt in 2004. A few years later, Costco approached him to help in sourcing their first Kirkland scotch. Today, Lipp still works with both retailers, as well as Total Wine and Walmart. 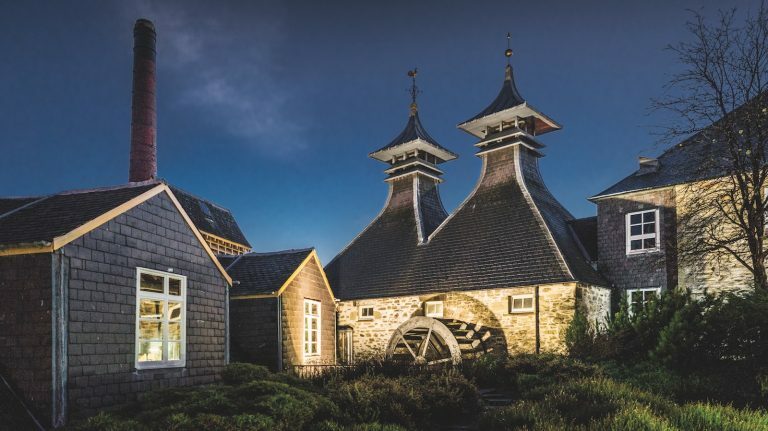 He has an “exclusive production partner” in Scotland, a single malt distillery that both makes its own whisky and obtains casks of other distilleries’ whisky through trades. Lipp has access to these resources and also purchases casks and new-make spirit independently, using the array of styles and flavors to create custom brands for his clients. In addition to scotch, Alexander Murray provides private-label Irish whiskey for Costco and Walmart. Other independent bottlers, like Duncan Taylor, offer similar services to retailers alongside their main business of selling their own labels. 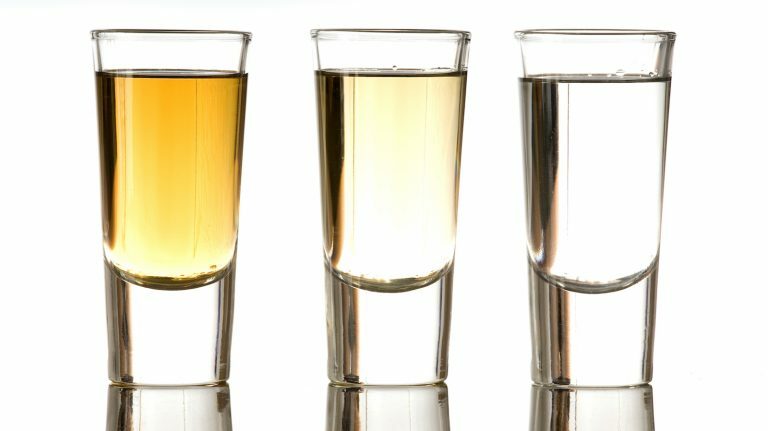 Bulk spirits producers lack the extra layer of secrecy found with independent bottlers. 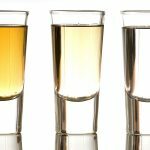 These companies actually own distilleries and often have subsidiaries or divisions that provide bulk spirits for private-label brands. For example, William Grant & Sons, the parent company of Glenfiddich and Balvenie, operates Quality Spirits International. You’ll find this company referenced on several scotch labels sold at Total Wine, including Glen Fohdry and Grangestone. Other scotch producers that provide private-label whisky include Ian MacLeod Distillers (which owns Tamdhu and Glengoyne Distilleries and supplies the Shieldaig brand), Angus Dundee (owner of Tomintoul and Glencadam Distilleries and supplier of the Balnellan and Glen Ness brands), and Whyte & Mackay (which owns Dalmore, Jura, and Tamnavulin Distilleries and supplies the Jamie Stewart brand). Rather than include their main business name on the bottle, such private-label brands often list an alternate name or DBA (“doing business as”) that is owned by the company. Stores that offer private-label whiskies have a few characteristics in common: a huge customer base, high-volume buying power, and market clout. In the case of Costco and Trader Joe’s their established store brands offer high quality and value pricing on everything from yogurt to paper towels: an important way to attract and retain customers. Their whiskies implement many of the same principles. 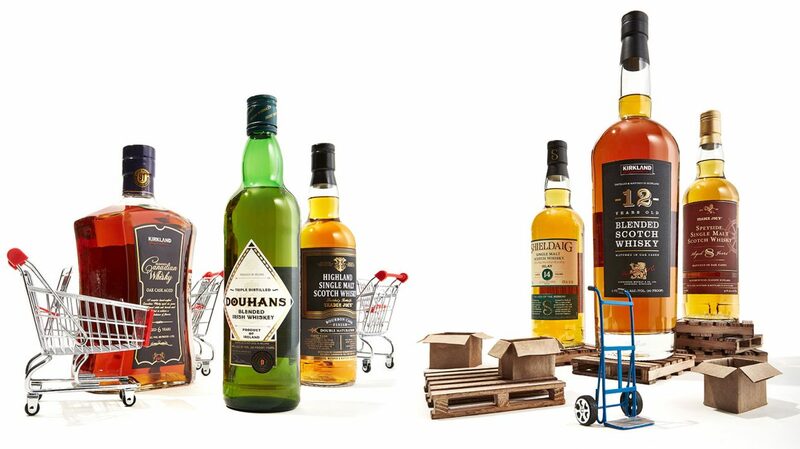 Stores that offer private-label whiskies have a few characteristics in common: a huge customer base, high-volume buying power, and market clout. Volume: For companies that are the size of Walmart (which has over 3,500 stores in the U.S., including several hundred that currently sell spirits), Costco (which has 526 U.S. stores, of which 316 offer spirits), Trader Joe’s (selling spirits at 262 stores out of 483), and Total Wine (158 stores out of 192 offer spirits), a single cask of scotch or one bourbon barrel selection won’t cut it; thousands of cases are required. 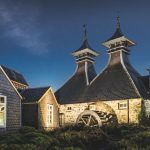 In the case of scotch, retailers typically solicit proposals from independent bottlers, stating the type of whisky they want (including style, age, sometimes even cask treatment), how much they need, and what shelf price they are trying to meet. Quality: Spirits buyers taste and assess every whisky to ensure it fits what their customers will likely purchase. Some retailers, like Costco, audit suppliers to confirm their production processes measure up to safety, quality, and other standards. In some instances, they may dictate specifics of production. Costco, for example, has asked Alexander Murray to finish all of its single malt whiskies in sherry casks for 6 months prior to bottling. Branding: While Costco and Trader Joe’s have built-in brands, retailers like Total Wine work with suppliers to develop a portfolio of whiskies. Brand names and packaging may be created by the retailer alone or in cooperation with the bottler. Alexander Murray developed all aspects of the Ainsley Brae single malt scotch brand for Total Wine. Lipp also worked with Costco to design custom bottles for the Kirkland whiskies he supplies; the name “Alexander Murray & Co.” is now embossed on the glass and featured prominently on the front label. Very large retailers have advantages: in some cases, the company that owns the retailer sets up separate, dedicated entities to handle the other stages of the process, like importing and distributing. Given their large-volume business, retailers may also strike more favorable deals with existing distributors in exchange for guaranteed sales. Large volumes work to the suppliers’ advantage as well, enabling them to offer a lower price in return for guaranteed sales. Alexander Murray does 90 percent of its business in supplying private-label clients. “You buy in big volumes, you get a better deal,” Lipp says. Another way to bring the price down is to bottle the whisky at 40%, the minimum ABV. All this translates to a lower cost per bottle for the retailer. Even after pricing the bottle lower than a name-brand peer, the store often ends up with a higher profit margin on its own whiskies. It’s a tantalizing proposition. Costco started off with just one Kirkland single malt scotch, and has grown into blended scotch, Canadian whisky, bourbon, and Irish whiskey. Trader Joe’s offers its original 10 year old Highland single malt, as well as an 8 year old Speyside, three non-age statement cask-finished single malts, a blended scotch, a couple of bourbons, and annual limited-edition single malt offerings that typically state the distillery origin. Walmart recently started to get in on the action, offering a 12 year old blended scotch and an Irish whiskey. Play detective if you’re so inclined—but don’t forget that the most important thing is whether or not you like the whisky. Total Wine takes things even further, flooding its stores’ shelves with dozens of private-label scotch, bourbon, rye, Irish, and Canadian whisky brands. Other than shelf-talkers calling them out as “Spirits Direct”— the store’s designation for its private labels or for brands that are sold exclusively at Total Wine in the U.S.—they can be difficult to distinguish from conventional peers. If you aren’t sure about that bottle of whisky on your home bar, take a look at the label. Does it have an unfamiliar name? Does it list a producer name or address that isn’t a known distillery? A little Googling will help you determine whether Glen Ness or Hickory Hill are real places where whisky is made. 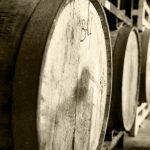 If the producer address links back to a DBA (“doing business as”) of a larger company, you might be able to look at the distilleries they own and narrow down the whisky’s true origin.